On Sunday, the Department of Homeland Security announced that it has lifted the large electronics ban on US-bound non-stop flights from Abu Dhabi International Airport in the United Arab Emirates. The removal of restrictions placed upon the airport in March is effective immediately. This move comes days after Secretary of Homeland Security John Kelly announced a series of sweeping new airport security measures. According to DHS spokesman David Lapan, Abu Dhabi International Airport, home to Etihad Airways, was able to quickly comply with the new security requirements. 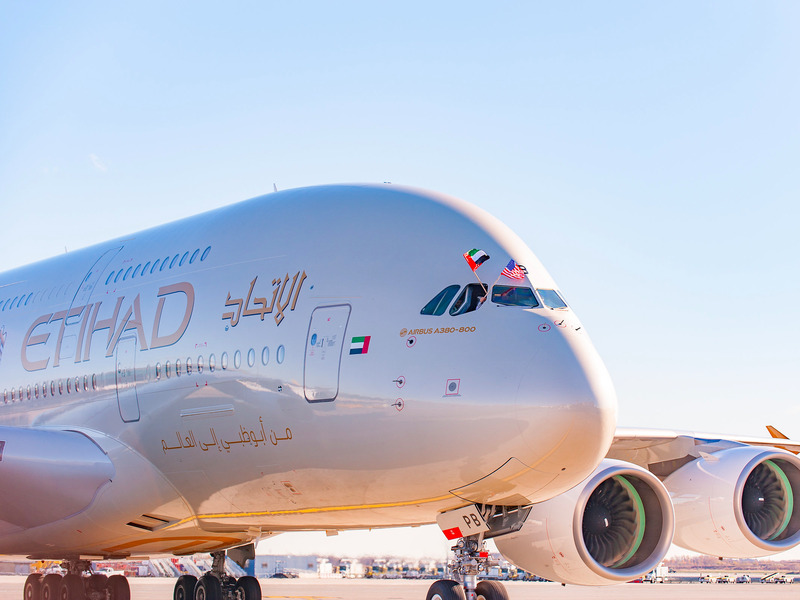 According to Etihad, the only airline with non-stop flights to the US from Abu Dhabi, the ban was lifted after DHS officials were able to validate the new security measures at the airline’s terminal. Abu Dhabi along with Shannon and Dublin in Ireland are the only airports outside of North America and the Caribbean to have a DHS preclearance facility. That means passengers on Etihad flights to the US are screened by DHS officials prior to boarding in Abu Dhabi. So when they arrive at their destination in the US, the passengers are treated the same as if they had been on a domestic flight. The establishment of additional preclearance locations is one of the key points in Secretary Kelly’s plan. While the laptop ban may be over for Abu Dhabi and Etihad, it is still in force at nine airports in the Middle East and North Africa — affecting eight major airlines including Emirates, Turkish Airlines, and Qatar Airways. The prohibition on all electronic devices larger than a mobile phone came into effect in March after intelligence emerged indicating terrorists are working on explosive devices capable of masquerading as a laptop battery.